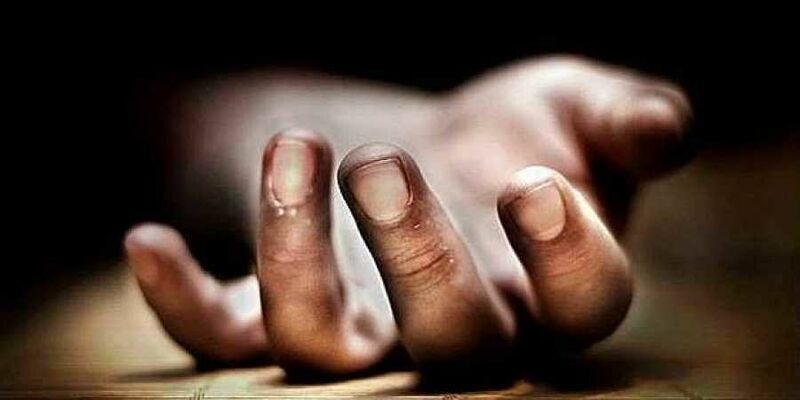 A 26-year-old man allegedly strangled his wife to death and hung himself, after a fight in Poonamallee on Wednesday night. According to the police, Venkatesh (26) got married to Durga (23) two years ago and they had a one-year-old girl. “Recently, the couple was having frequent quarrels. On Wednesday morning, Durga’s mother Meera took the baby to her house. She returned on Thursday morning and kept knocking on the door. When they failed to respond she peeped through the window only to find the duo lying dead,” said a police officer. She raised an alarm and the neighbours informed the police, who reached the spot and recovered the body and sent it to the Kilpauk Medical College and Hospital. During investigation, it was revealed that Venkatesh was unemployed and Durga was working as a contract staff in the Poonamallee municipality. Owing to financial constraints the couple had frequent fights. A case has been registered and further investigations are on. If in distress or having suicidal thoughts, call 104 for the health department’s helpline that offers counselling or 044- 24640050 for Sneha suicide helpline. Chennai: A lorry driver and cleaner died after another lorry hit their parked vehicle on the Madurantakam bypass. Another person suffered grievous injuries and is undergoing treatment at Chengalpattu hospital, early morning on Thursday. According to the police, Aravindar Singh, 42 of Chhattisgarh was driving a container lorry from Puducherry to Madavaram. “When he was at Erikarai near Madurantakam, the vehicle suffered a flat tyre. Aravindar parked the lorry on the road side and along with cleaner Ameer Singh set out to replace the tyre. They sought help from another truck, which was driven by Mitra Singh (35), also from Chhattisgarh. “Ameer Singh was trying to place reflectors behind the truck to alert the other vehicles. While he doing so, a tipper lorry rammed the parked vehicle, killing Ameer and Aravindar on the spot, added the officer. Passersby rushed Mitra to the hospital and the bodies of the other two taken to the hospital by the police. Chennai: The public nabbed two juvenile girls who allegedly snatched a mobile phone from a man near Chennai Central railway station on Wednesday night. Police said A Thaniz (18) from Periamet was walking near Madras Veterinary College around 9.30 pm. “Two girls on a two-wheeler approached the man and asked for the mobile phone to make an emergency call. After Thaniz gave his mobile, the duo sped on the two-wheeler. Thaniz raised an alarm and the public nabbed the girls,” said a police officer. Chennai: A mobile phone and a 17-sovereign gold chain were snatched in two different incidents in the city on Wednesday. In the first incident, B Aravind (22), a native of Tiruvannamalai, was walking along RK Salai road at 5.30 am when two men on a bike snatched his mobile phone and fled. Similarly, a 17-sovereign chain of Bhagya Lakshmi (45), a resident of Nandambakkam, was snatched while she was walking towards the bus-stop at Ambattur. Chennai: The Valasarvakkam police rescued a four-day-old baby girl from the roadside near Porur on Wednesday night. On Thursday morning, Ravi, a plywood shop watchman, found the baby wrapped in a cloth, near the bushes beside the shop, said a police officer. Upon being informed, the police took the baby to a nearby hospital, where it was given treatment. Later, the baby was sent to Egmore Women’s and Children Hospital. As a case was registered by the Valsaravakkam police, CCTV footage from the locality was examined and a footage was found have recorded a woman walking with a bag and hiding near the plywood shop for around three minutes. Later, she walked to the bushes, took out the baby from the bag, abandoned it near the bushes and left. “There is a Tempo parked right near the shop. We suspect it was planned to park the truck so that nobody will notice the woman,” said a police source. Chennai: A sum of Rs 40,000, LED TV and 10-sovereign gold jewellery was burgled from a house in Virugambakkam on Wednesday night. The incident happened when the complainant, T Prabhakaran (38), a native of Virugambakkam who works at the Neyveli Lignite Corporation, was not at home. “On Thursday morning, his neighbour found the door of his house open and informed him,” the police said. Chennai: A 36-year-old rowdy was allegedly murdered in Ennore on Thursday. The police said Prabhu, who has more than 12 cases against him, went missing on Wednesday. “On Thursday, his body was found near the railway tracks at J J Nagar in Ennore,” said a police officer. The Ennore police filed a murder case as there were stab marks and the throat was slit. After a probe, one Mohammed Rafiq (22) from Kodungaiyur who had earlier tried to kill Prabbhu, was arrested. Chennai: Two school students allegedly pelted stones at the rear-glass of an MTC bus near Triplicane post office on Wednesday evening. A complaint has been lodged with the Zam Bazaar police by T Arun Kumar (46), the driver of the bus. According to the police, the students were apparently irked after they were asked by the conductor not to stand on the footboard.